House of Forgings is a national distributor of high quality custom staircases, rails, and components. Growing demand for custom staircase assemblies compelled House of Forgings to build a new, expanded facility tailored to deliver a welcoming environment for clients, while better suiting their distribution operations. 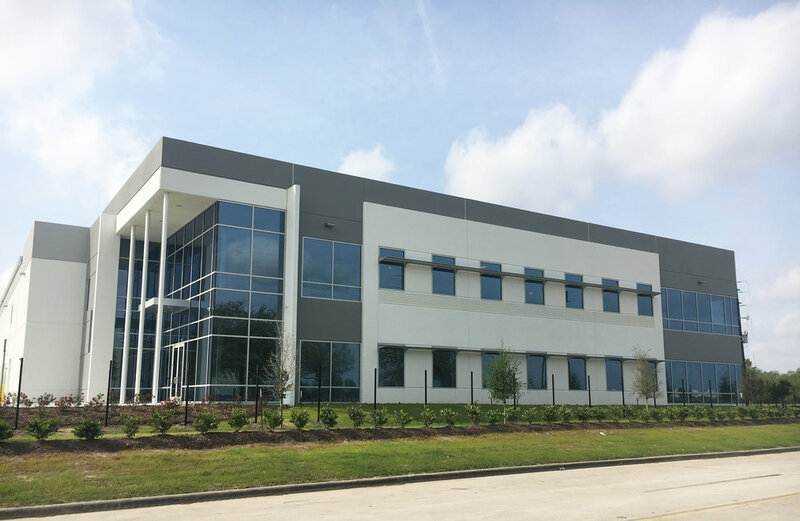 Construction included a 15,375 SF two-story office, 46,725 SF of warehouse space and associated site improvements. The office area contains a 1,330 SF showroom designed for House of Forgings to showcase their products to clients. Rosenberger provided MEP design/build services to best meet House of Forging’s intended use and budget. Recognizing our client’s desire to maximize their new office space, Rosenberger was able to coordinate with House of Forgings and the design team to relocate one of the stair cases from the office area into the warehouse. By doing so, we were able to provide nearly 500 SF of additional office space, while maintaining all egress requirements. House of Forgings provided and installed their own staircase with glass rails and wood treads in their new showroom. To provide added visibility, Rosenberger and the design team revised the layout of the showroom to create an open area that allowed for House of Forgings to showcase their own product as a functioning component to their new space.